2:00 PM – I’m convinced there’s no way I can get a pound cake prepped, baked, cooled, glazed and photographed before the sun goes down. 2:05 PM – We’re gonna do this. Mike dashes to Vons for whipping cream and a new bundt pan (not sure if the one I have is the right size or not, still can’t find that ruler). I preheat the oven, set out the butter and eggs and watch Special Agent Oso with the kids while I wait for him to get back. 2:27 PM – Mike’s back from the store. He takes over the baby duty and I start up the KitchenAid. 2:55 PM – I get concerned about the lack of leavening ingredients in the recipe, but I go with it anyway, resolving to cream the butter and sugar extra well to make sure the cake stays light. I’m anxious to see what the addition of whipping cream will do to the texture of this cake. I pour the batter (which, by the way, tastes like a milkshake!) into my old bundt. We found the ruler, it’s the right size after all. The cake goes in the oven, timer is set for an hour and fifteen minutes. 2:57 PM – Mike puts jackets on the kids and escorts them to the backyard to play. I enter the final items onto my iPhone shopping list and head out to Ralph’s to procure the week’s groceries while the cake is baking. Multitask! 3:51 PM – I’m back home in record time. House smells invitingly like cake. Before unpacking the groceries I turn on the oven light and peek through the window. The cake has risen almost to the brim of my bundt. Definitely the right size! 4:05 PM – With a few minutes left on the oven timer, I put on water to boil for the artichoke pasta dish we’re having for dinner (and which I also intend to post on this blog). 4:10 PM – The timer starts beeping. I go in with my long skewer to check the cake, it comes out clean. Out it goes to the cooling rack. It now occurs to me the cake needs to cool completely before I can apply the glaze. A glance out the window at the dusk-like sun position raises my blood pressure a few notches. 4:45 PM – I set up my camera and shoot the pasta dish. The family is eager to dive into their dinner that’s out on the table. But no. Mommy’s not quite ready yet. 5:00 PM – Cake is still warm but oh well. It is already way too late to be photographing, but I gotta do what I gotta do. 5:03 PM – I wreck the Meyer lemon glaze. Duh…if you add lemon juice to cream (the glaze recipe I was adapting called for cream) it’s gonna curdle. I scrap it and whip up a second batch of glaze, sans the cream. It’s on the thick side, as I only have one lemon left, but it tastes fantastic and drapes nicely on the cake. 5:15 PM – It’s barely light outside. I shoot the cake anyway. And then I cut a sample slice. There is absolutely nothing like still-warm cake and this one is unbelievable. The whipping cream, it turns out, makes it super moist with a truly velvety texture. Oh. So. Worth it all. Butter and lightly flour 10 inch tube pan (I used a bundt sprayed with Pam for Baking). Sift cake flour, then lightly spoon 3 cups cake flour into measuring cup. Combine sugar and butter until creamy in large bowl. Add eggs one at a time, beating well after each addition. Add in flour and whipping cream alternately. Stir in vanilla, lemon juice and zest. Pour into prepared tube pan. Bake for approximately 1 hour 15 minutes – 1 hour 30 minutes or until long tester is inserted to reach middle of cake and it comes out completely clean. Cool completely. Meyer Lemon Glaze: Combine 2 cups of confectioner’s sugar and the juice of 1-2 Meyer lemons (depending on how thick you like your glaze). Beat until smooth and creamy. Drizzle over cooled cake. Stumbled across your blog – thank you for an enjoyable read on a long boring commute to work! Also thank you for being a superwoman in order to share with us! Lemon cakes are my favorites, I will be sure to try. Are whipping cream and heavy creams the sames? Lol, you’re welcome, Lee. Yes, heavy cream and whipping cream are the same thing. How incredibly beautiful is that cake? Yum! Can’t tell you how many times I’ve raced against the clock to get some shots before the sun goes down (although they never ever look as beautiful as yours) and how many of those meals end up being served cold. A day in the life of a blogger, right? My love for lemons knows no bounds. Printing this. I have a standard bundt cake pan. Should work…I hope. I hate feeling rushed while I’m cooking, although my life is all too often a marathon to the finish…a whirlwind of me trying to make it before the sun goes down or before that paper is due that i have to hand in, etc. but when the finished product is as beautiful as this…damn is it worth it. The cake is looking heavenly. I really enjoyed your baking process details, makes the more fun and enjoyable. 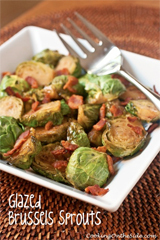 saving your recipe to try out shortly ! This looks incredible! OH my! Definitely trying this baby out! This looks delicious! A perfect way to celebrate National Pound Cake Day on March 4th! I’m always on the lookout for a great pound cake recipe so it’s good to know that this one was worth the effort and all the racing around you had to do! I imagine the whipping cream would give it a nice richness. I love your timestamped blog post. That’s how most of my days run, too short on time and yet I scramble to squeeze everything in. This looks wonderful! i only wish we had access to meyer lemons. one of the many many reasons i miss cali. looks fab kath! Made this into cupcakes for the coworkers and they disappeared in less than 15 minutes! Definitely a keeper recipe! This sounds delicious–I love anything lemon! (Although I’ve never seen anyone selling Meyer lemons near me in rural Kentucky. 🙁 I’m sure regular lemons would work great, though.) I also totally relate to the timeline and juggling of the kiddos! YUM! I love pound cake! Sounds like you had quite adventure making this! This looks ridiculously good. Look at how fine that crumb is. Amazing. So happy I found your blog – so many great recipes. I baked it in two loaf pans (one for me, one to share) and it’s delicious! Funny thing is the plain pound cake recipe was on the box of cake flour I bought to make this cake! Your cake looks great! 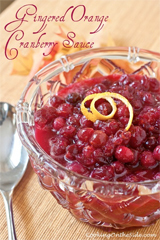 I’m going to give this recipe a try for Thanksgiving. I really enjoyed the minute by minute updates. Made my day! Do you think I could pull this off with key lime juice or grapefruit? 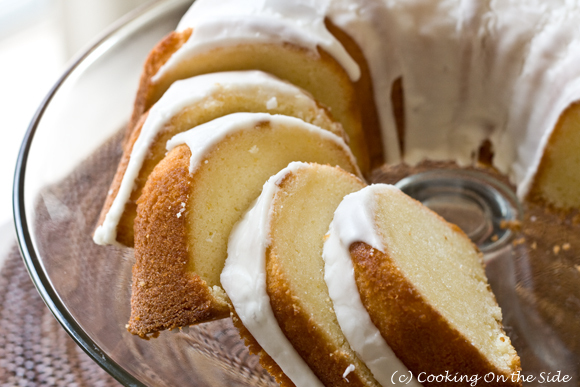 I’m feeling like pound cake for dinner and have no lemons around-looks great! I think either of those options would be fabulous! With the grapefruit I might cut back the sugar a little since the grapefruit is already a bit sweet. I bake this cake last night. I bought the Swans cake flour. But I decided not to use it. I googled on the internet and it stated that I could substitute plain flour for cake flour, but it stated to minus two tablespoon per measuring cup. And let me tell everyone this. That cake was just as describe velvety. It was awesome. 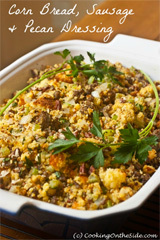 So thank you so much for posting this wonderful recipe. I gave this recipe a five stars. My great-grandmother made the whipping cream pound cake my whole life, and probably my grandma’s :). I was using her recipe before Christmas and was also conned about the lack of leavening, thinking that I must have written it down wrong! The cake was a complete flop! It rose too much, over flowed my pan, and started burning in the bottom of the oven. A complete mess! Anyway, I look forward to trying your adaptation with the lemon juice and zest. Hi, I made this cake about a year ago and it turned out great. Nice, smooth lemony taste that’s so moist, makes you pucker for more. I was at Sam’s Club recently and came across the meyer lemons and I’m baking one today. Thanks for sharing the recipe. 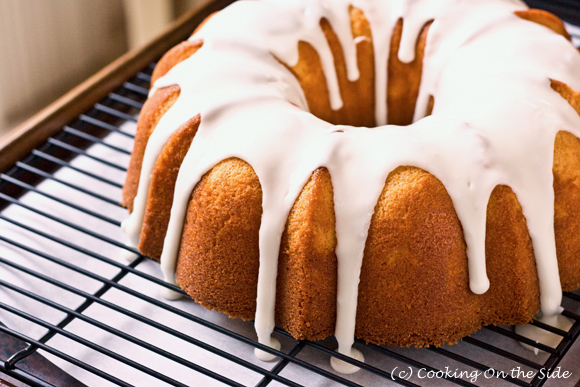 What size bundt pan did you wind up using? Do you know how many cups it holds? How do I substitute regular lemons for Meyer lemons in recipe? Can’t find Meyer lemons.